Sarah Jessica Parker is coming for The SM Store Aura opening! It's Official! We've been seeing a lot of photo clues making its arounds on the internet these past few days which people left asking, who is this Hollywood A-lister who is coming to the SM Store Aura? Today, it was finally revealed that Sarah Jessica Parker is the one coming for The SM Store Aura Premier's opening this week! Her Carrie character –who has been described as someone who lives for fashion - as well as her own incredible personal style make Parker the perfect guest for the store opening, which Manila’s stylish set is looking forward to. In the fall of 2013, Parker will return to the stage in the world premiere of The Commons of Pensacola by Amanda Peet opposite Blythe Danner. 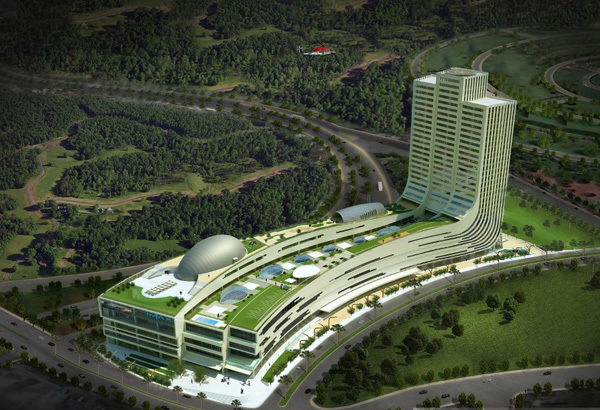 SM Aura Premier is the newest addition to SM Supermall's line of Premier malls in the country. Situated at the posh Bonifacio Global City, SM Aura Premier is set to become the newest place for lifestyle and fashion bringing together the best of both international and local retailers making Aura the premier must-visit retail destination in the country. SM Aura Opens on May 17, 2013! For more promos and updates from The SM Store, join The SM Store online community!